Gas leakage is a very serious and dangerous problem that you need to fix urgently. Regular checkups must be made and you should have your broken gas system repaired by a local gas plumber in Perth before the situation gets worse and to prevent later damage that is hazardous and difficult to fix. You should check your gas lineage or any gas appliance. Look for plumbers that have the right equipment for installations and for repairs in your home or in your office. If the gas leakage is located underground, have them to quote and fix the leaks and have your existing pipeworks replaced if required. Make sure that these plumbers are available even on emergency cases, 24 hours a day. You should choose the right team if your existing pipelines need to be replaced and upgraded immediately and reliably. Always look for the most reliable Perth gas plumber. Always check if they can install and do gas fittings for you. Look for professional technicians that can provide and give services in your home any time of the day anywhere in Perth. Always look for a Perth local plumber that can do the right job within just a phone call even if your gas system is being functioned by LPG or natural gas. Make sure that they can do installation that includes gas hot water systems, gas stoves, gas heaters and gas ovens. Have someone that would greatly be happy to be of service with you, from pipeworks to any water system repairs, that they can also accommodate you any time of the day, can do emergency jobs without the hassle of additional emergency rates. It is very essential that they ensure your safety before anything else. Make sure that they have the best equipment to ensure the quality of the repairs and replacements. 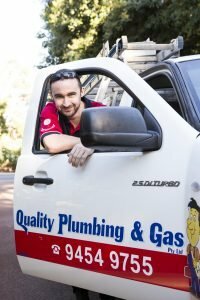 Look for the most reliable Perth local plumber that they could not just fix your gas problems but taking your safety as their primary concern. Have them ensure that your leakage can be fixed in the least amount of time. Contact your reliable professional gas plumber today, to have that easiness you have in your home and in your office.